Russia's international striker Artem Dzyuba, who became a national hero for his World Cup performance in the country last month, is now the voice of a popular Yandex navigation service. "We also watched the World Cup and also supported our team," Russian company Yandex said in a statement Monday. "We are happy to inform that the voice of Artem Dzyuba, the Russian national team's striker, has appeared at Yandex.Navigator," it added. The company said Dzyuba recorded more than 120 phrases for the service that is used by 16 million motorists a month. Users will now be able to hear the footballer giving them directions and warnings on Russia's roads. 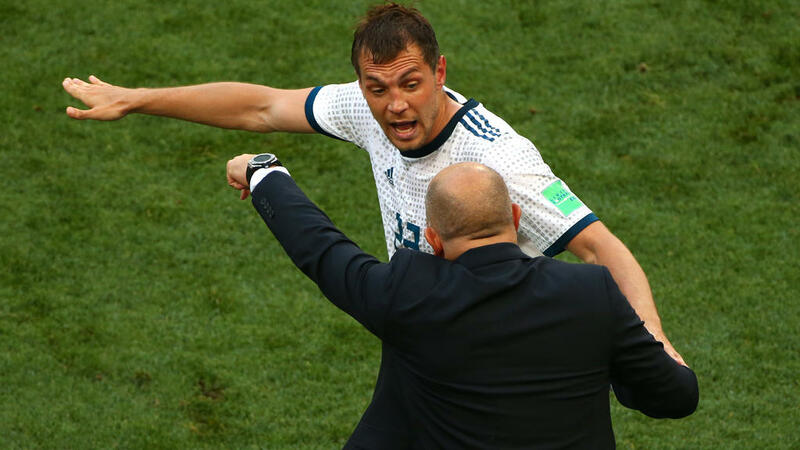 "I decided to support you on the road," said 29-year Dzyuba, who scored three goals in five World Cup matches and helped the Russian team reach the quarter-finals. "Wherever you travel to, I will be with you. I mean, my voice on Yandex.Navigator. I'm very happy about it."